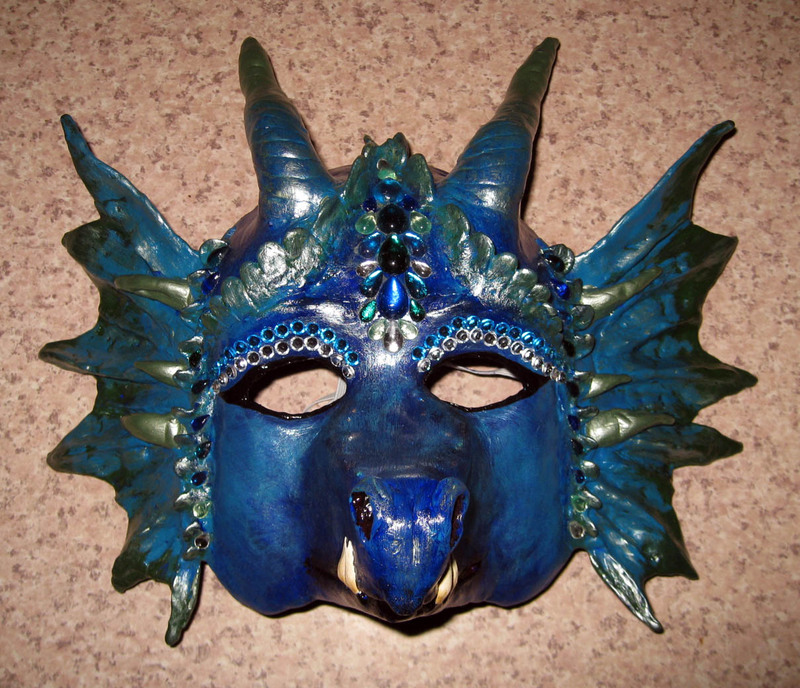 Now, Water Dragons and Beltane you ask? 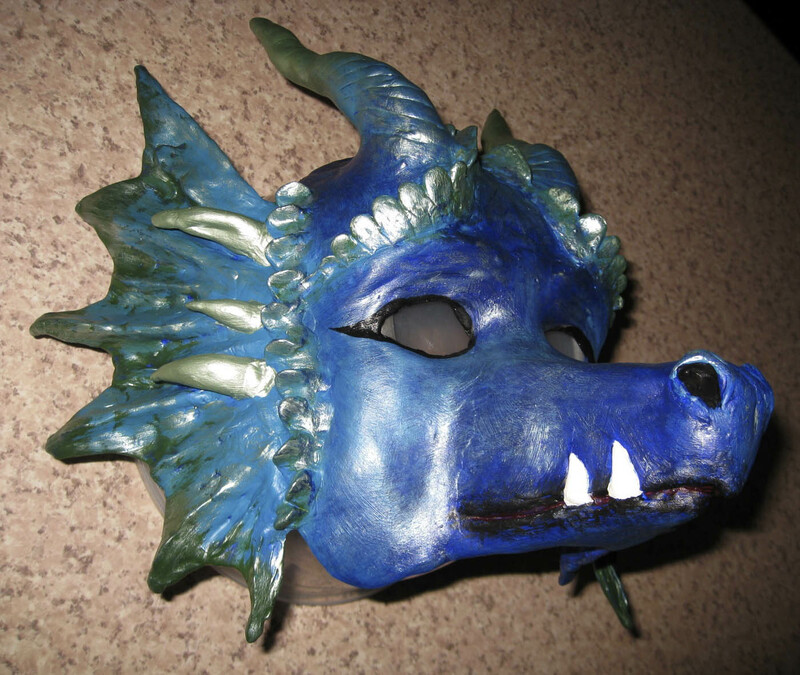 Well, firstly, the Pagan group I’m in has always had a strong tie to the Dragons and secondly, we like to make creative, crafty things at our Beltane retreats each year, so starting last year we decided to create Dragon masks, among other items, as part of our Beltane craft activities …here is the Fire Dragon Mask I made last year. 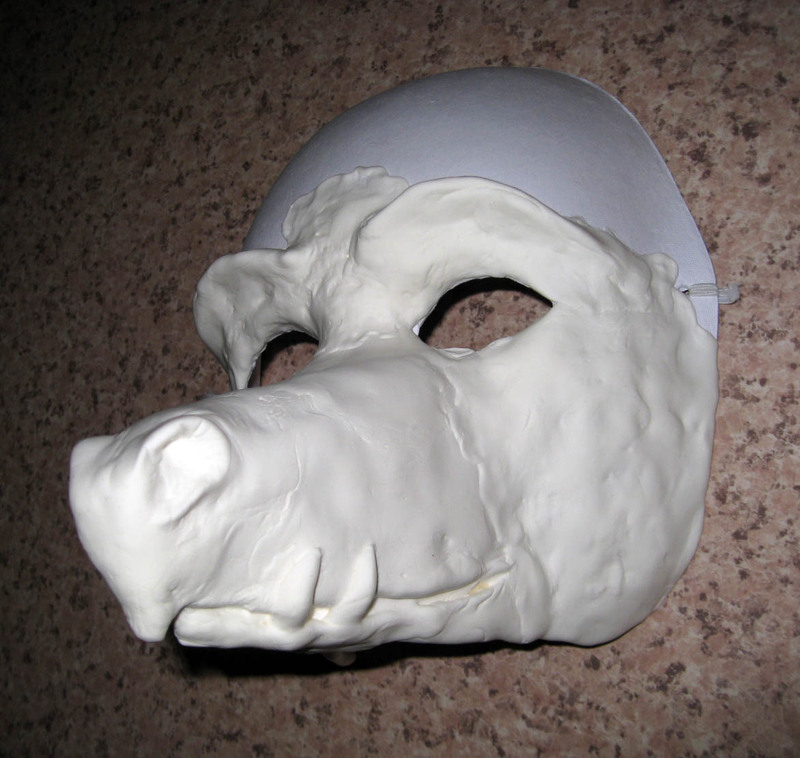 As with last year’s mask I started with the basic face mask from a craft shop, then built the rough framework for the snout, horns and ear fins using thin cardboard but instead of covering that with paper maché, like I did last year, I used a product called Paper Magiclay which allowed me to achieve much more anatomical detail than in my previous mask. 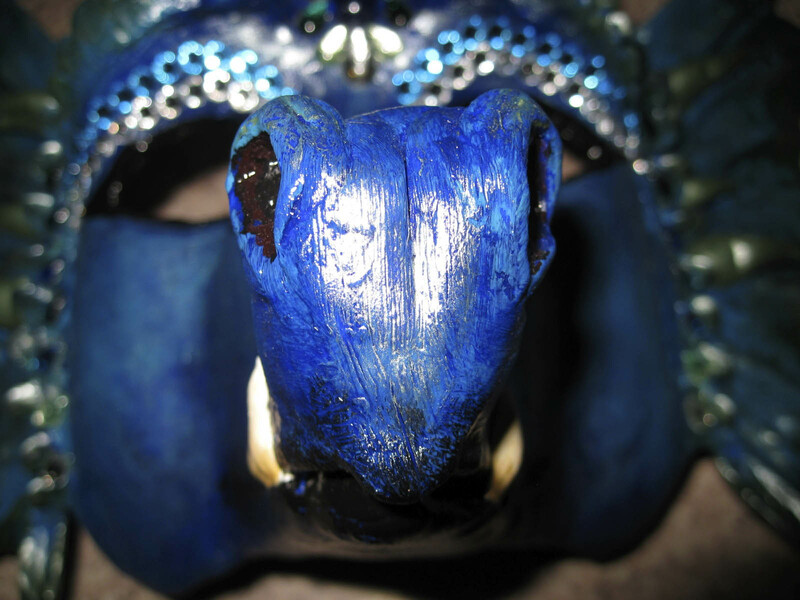 The mask needed to be supported on something (such as a large, upturned bowl) as the Magiclay was very flexible while wet and tended to droop a little under its own weight. 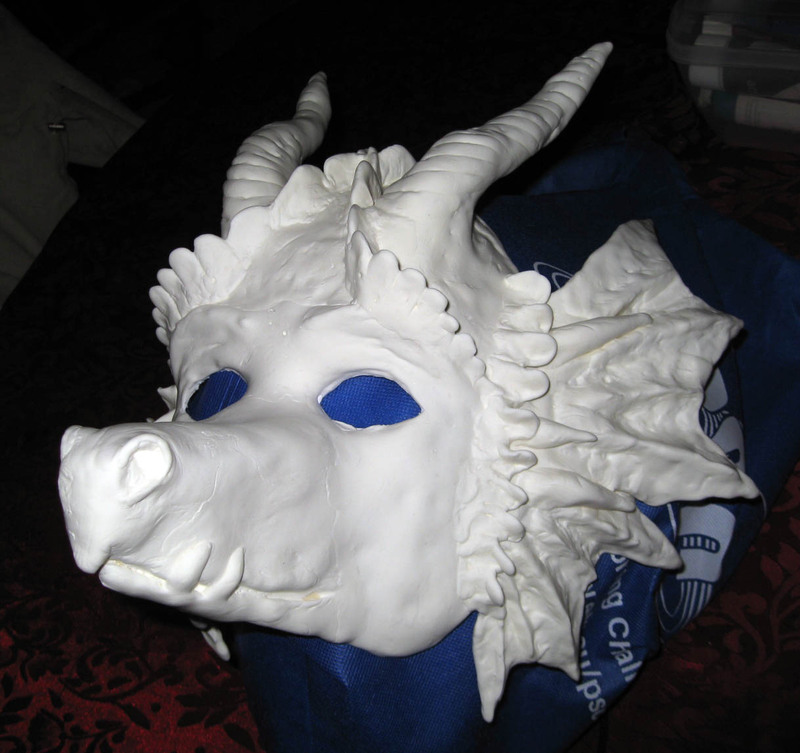 However, with the right support and after being allowed to dry properly for a couple of days the end result was most satisfying. 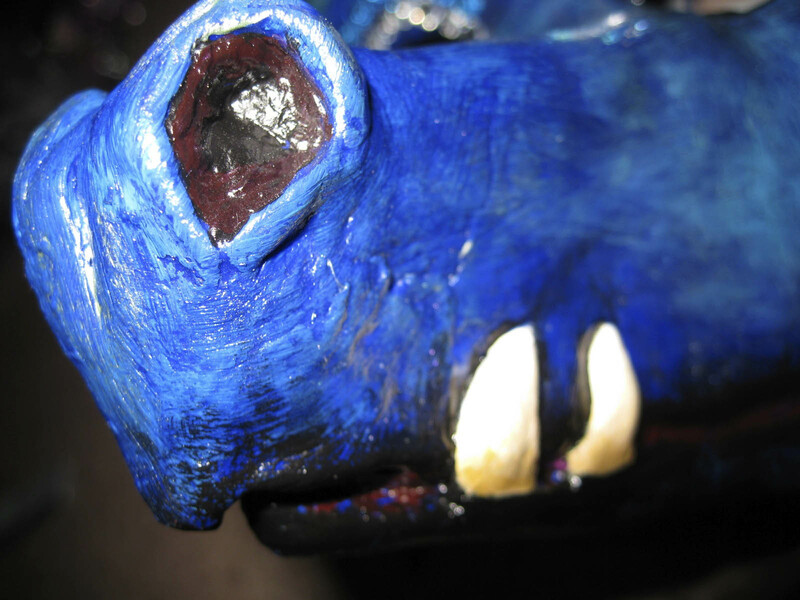 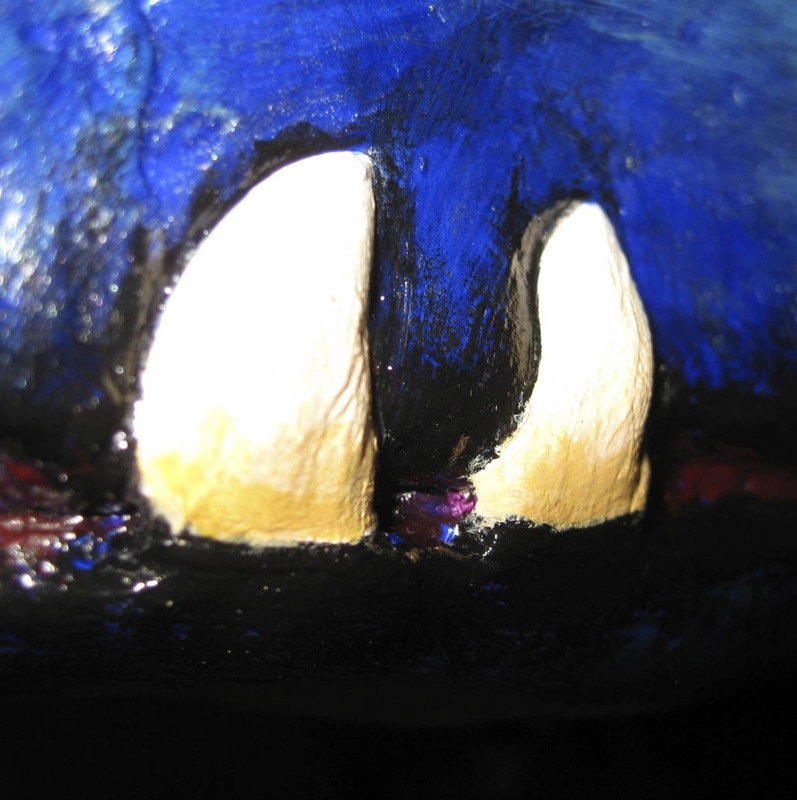 I then painted the mask with various shades of blue, green and silver and my second son skilfully painted the staining on the teeth for me, as well as adding more detail to the nostrils, as he’s had years of experience in painting such detail on the tiniest of War Hammer figurines. 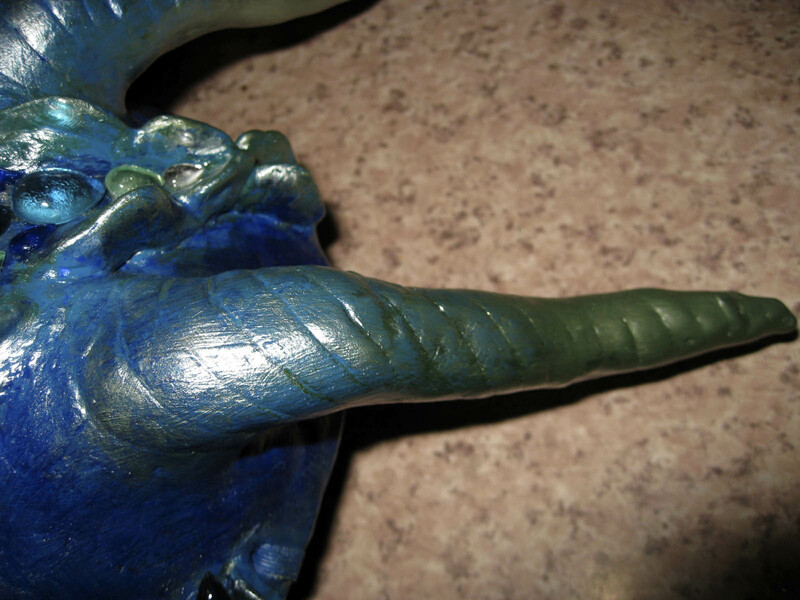 😀 Once the painting was completed, I sprayed it with a clear acrylic protective top coat. 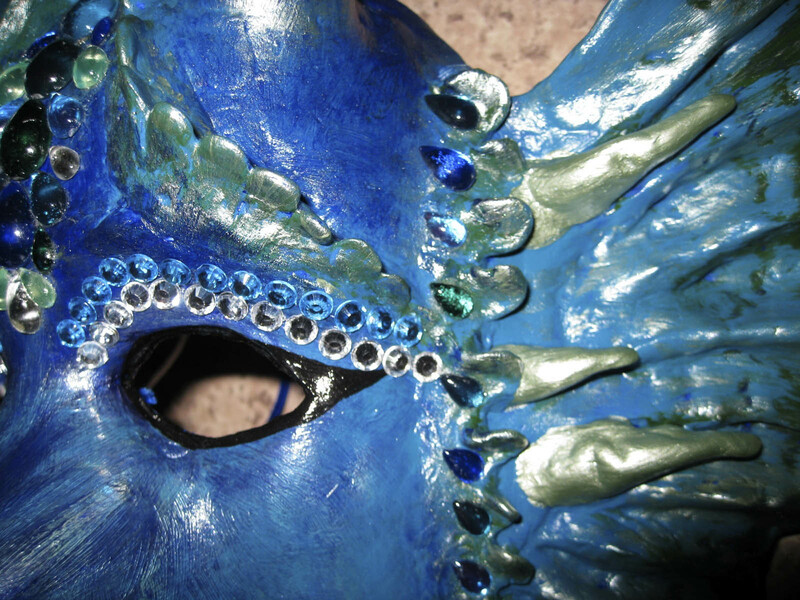 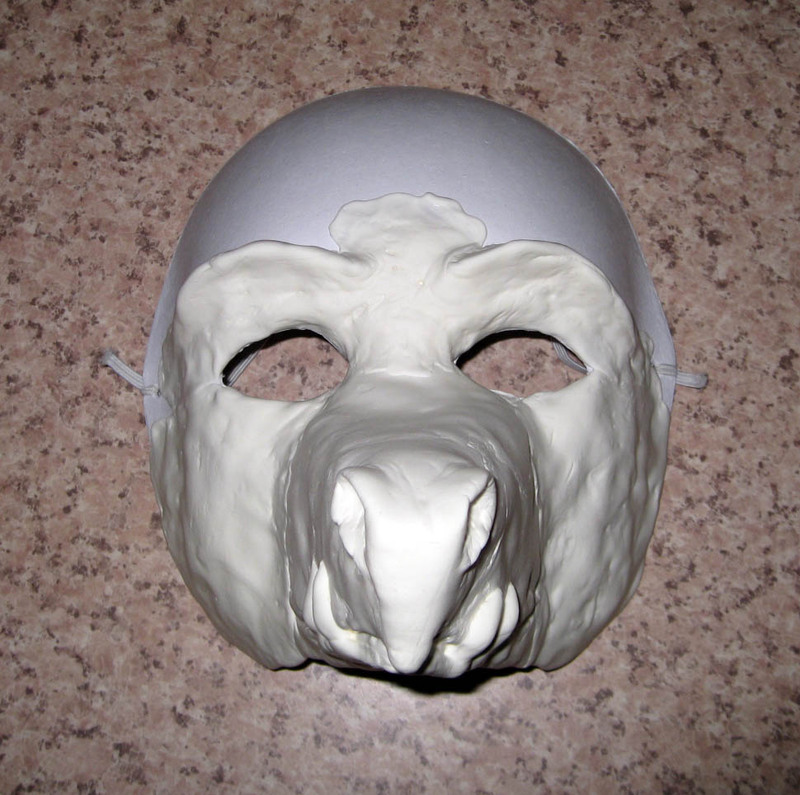 My mask was now ready to take to the Beltane Weekend, which was where I glued on the final pieces of “bling”. 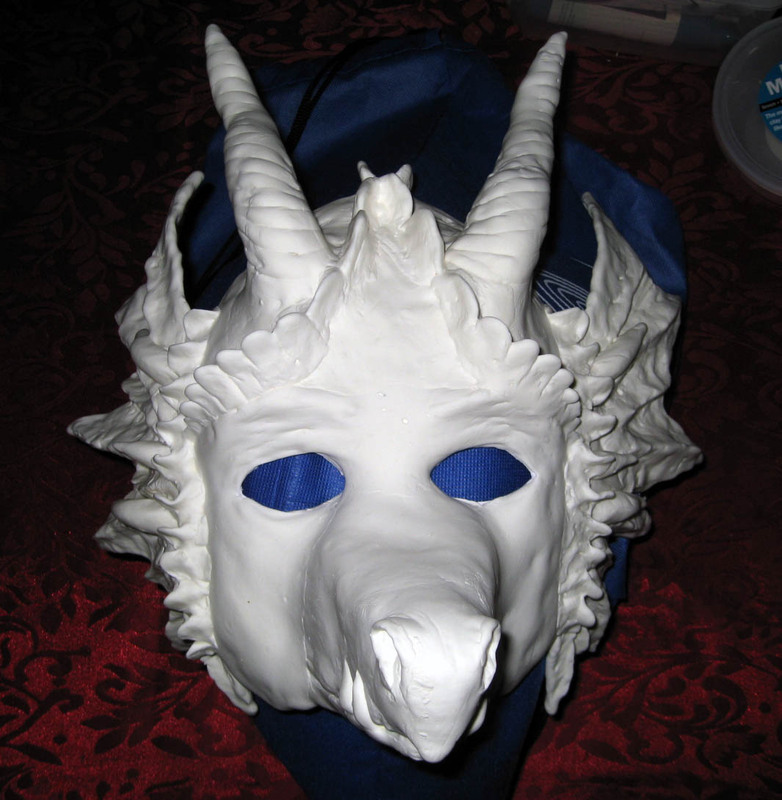 I chose to prepare my mask at home first because I knew that what I intended would take far longer than the time allotted on the weekend. 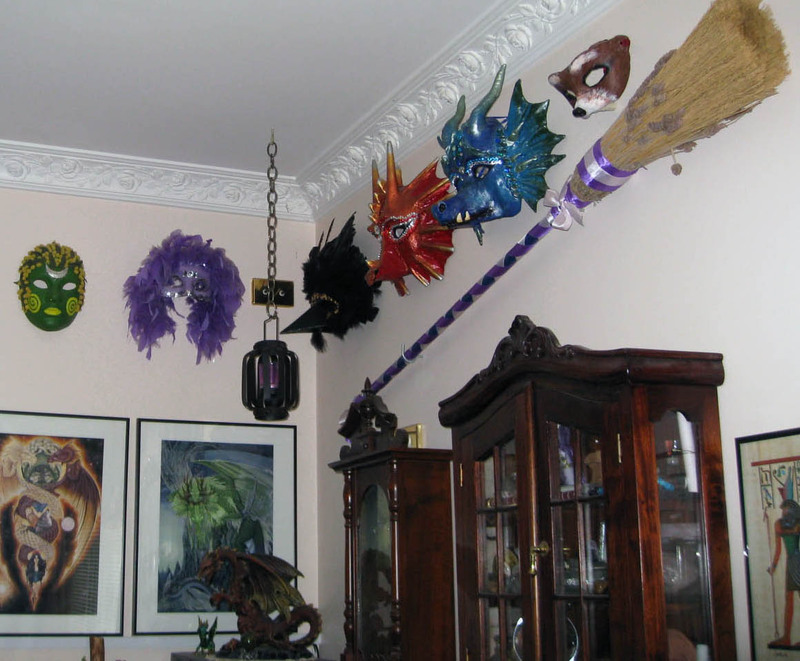 A few other people also did the same. 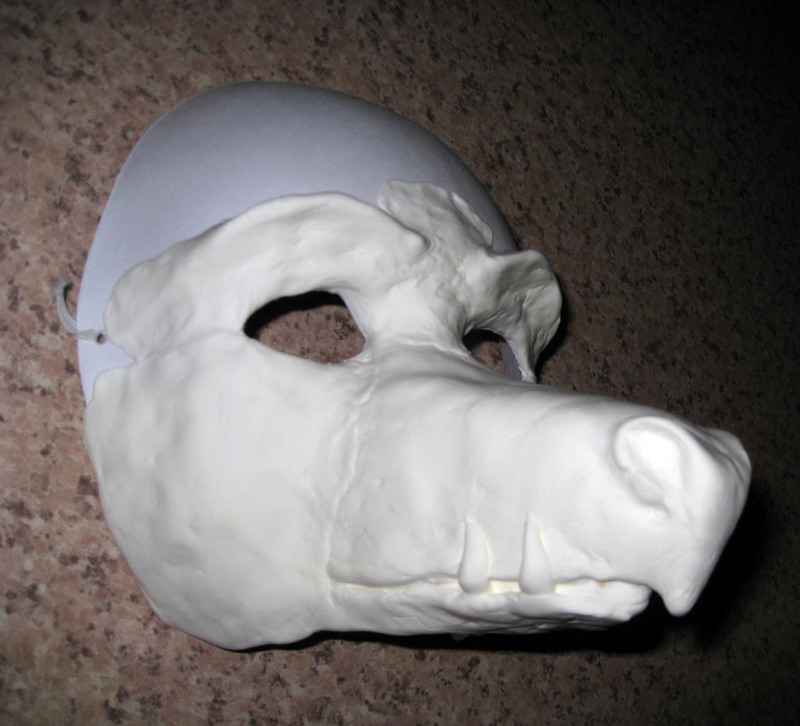 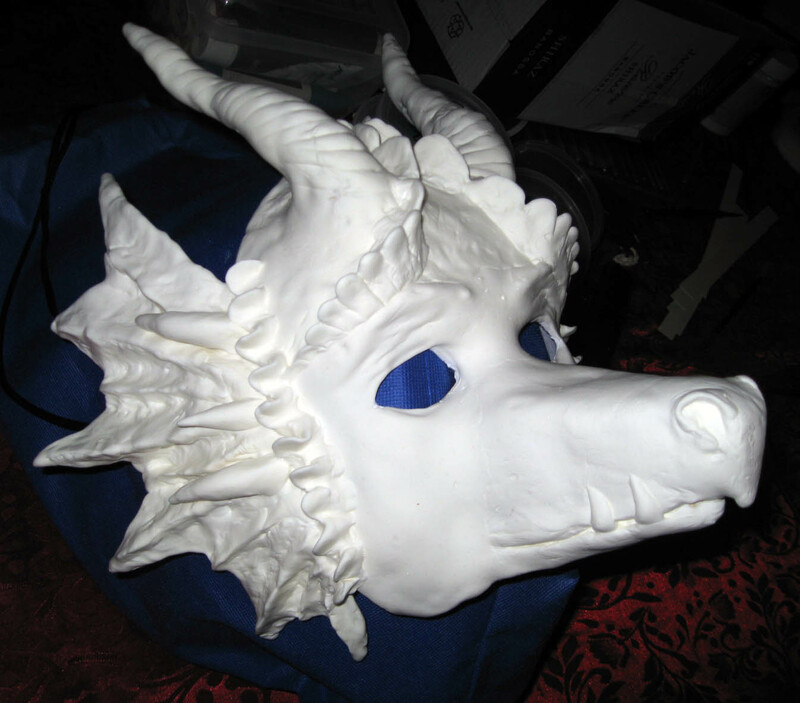 I’m very happy with this latest Dragon mask, and I’ve learned a lot about working with Magiclay too, so I’ve already got a few ideas on how to better construct next year’s mask, which will be a “Dragon of Spirit”. 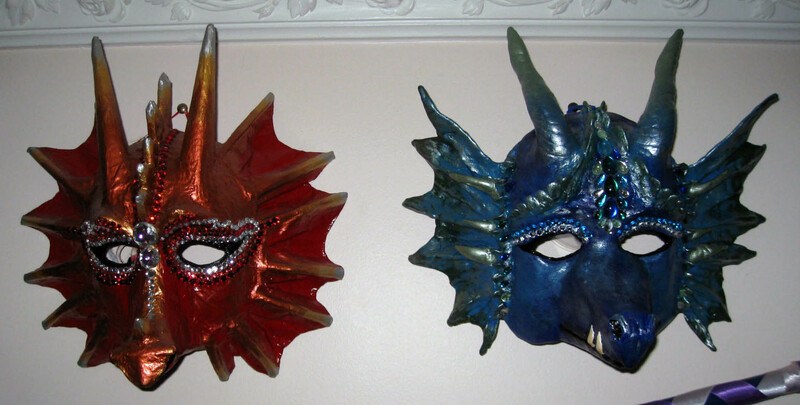 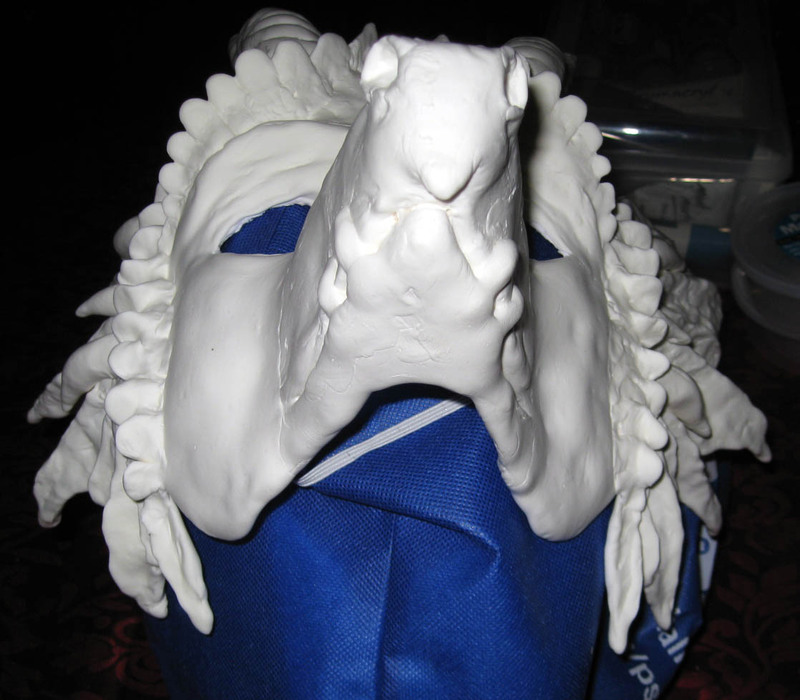 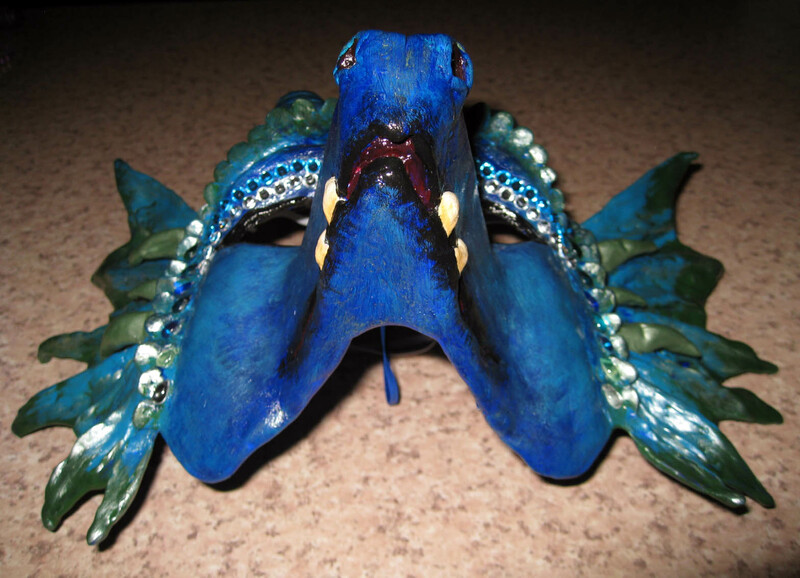 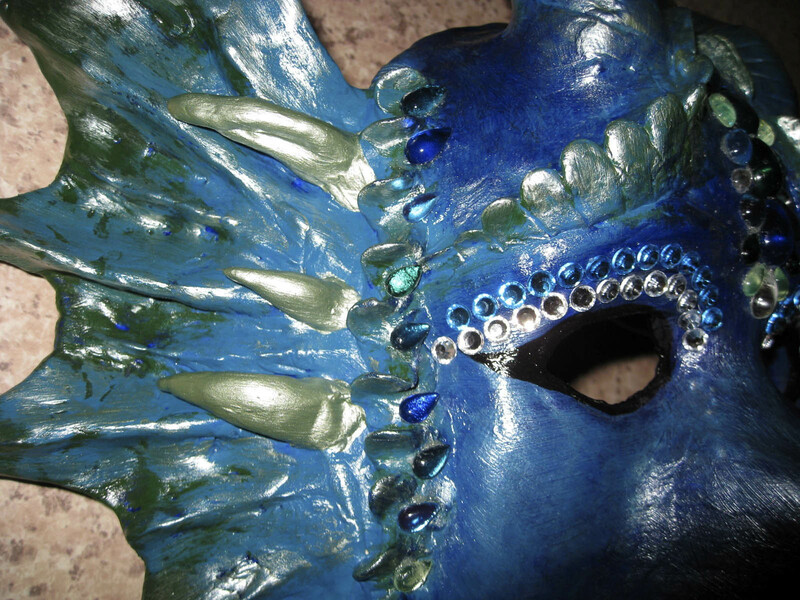 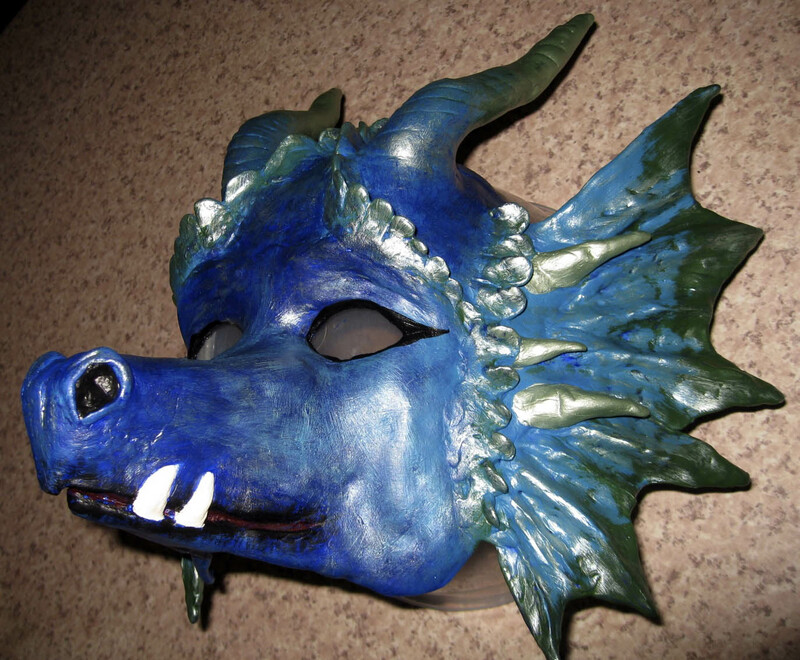 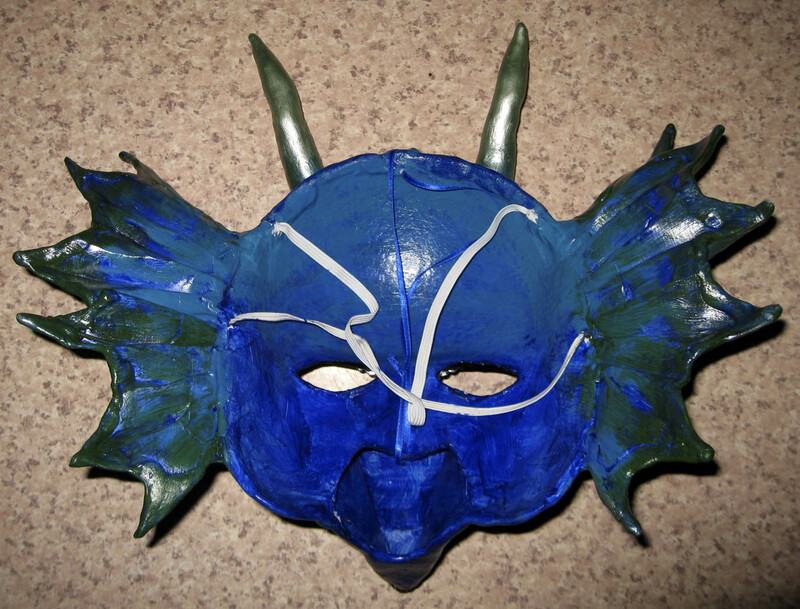 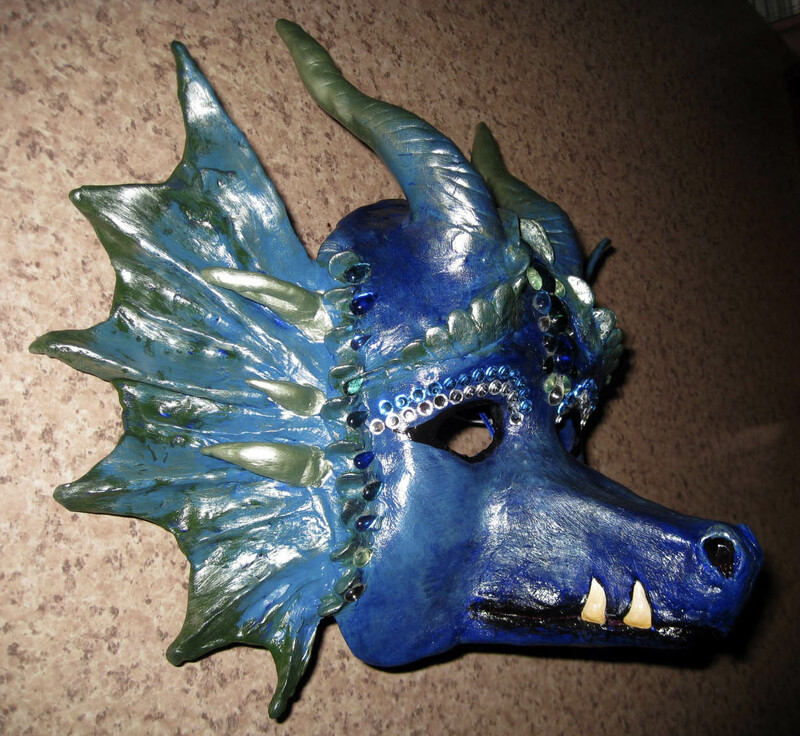 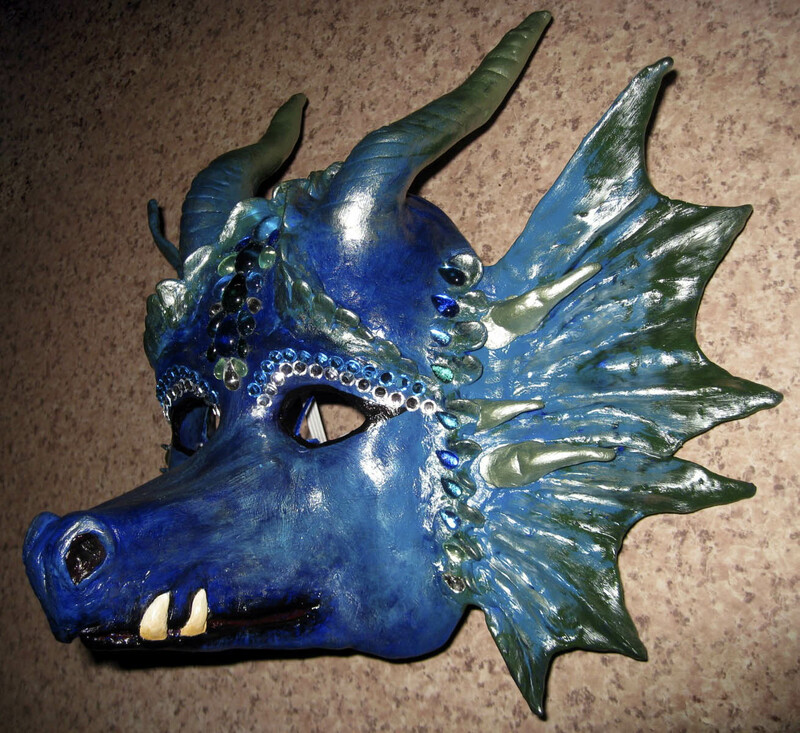 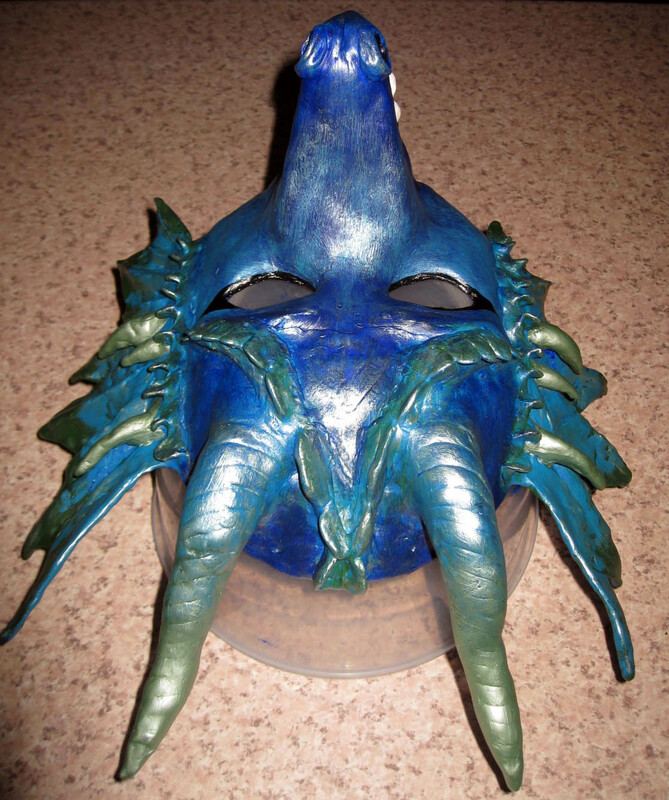 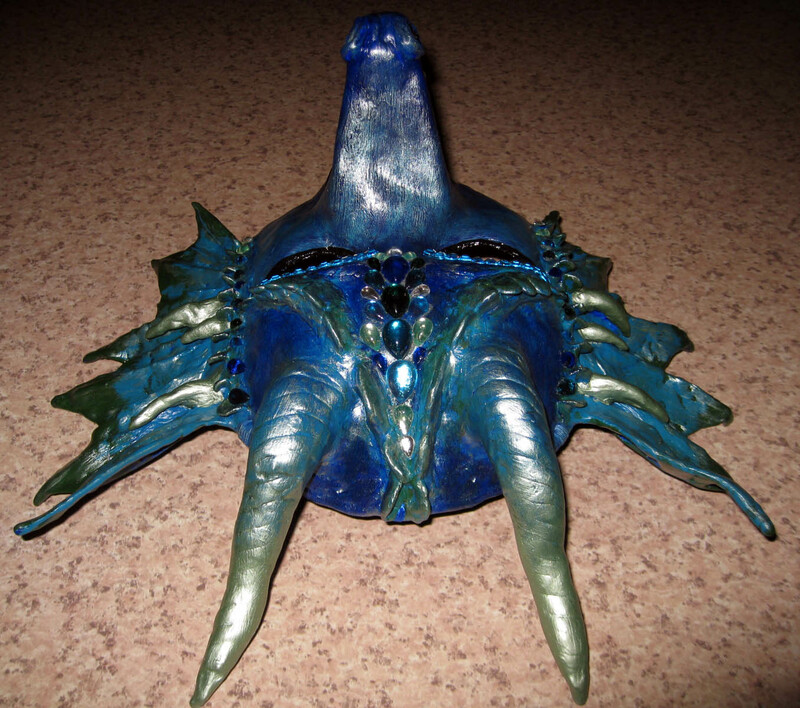 This entry was posted in Art & Craft, Dragon Images and tagged Beltane, dragons of water, fire dragon mask, mask making, southern hemisphere Beltane, water dragon mask. 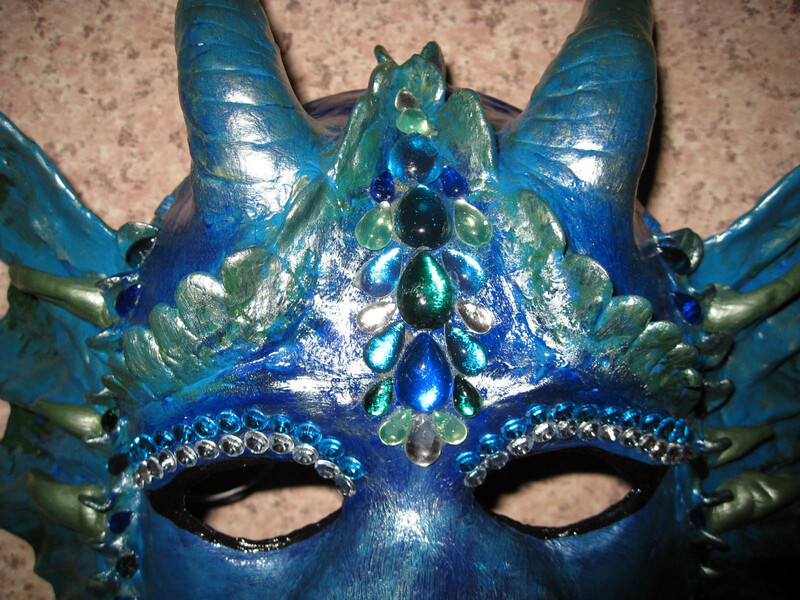 Wow… this one is gorgeous! 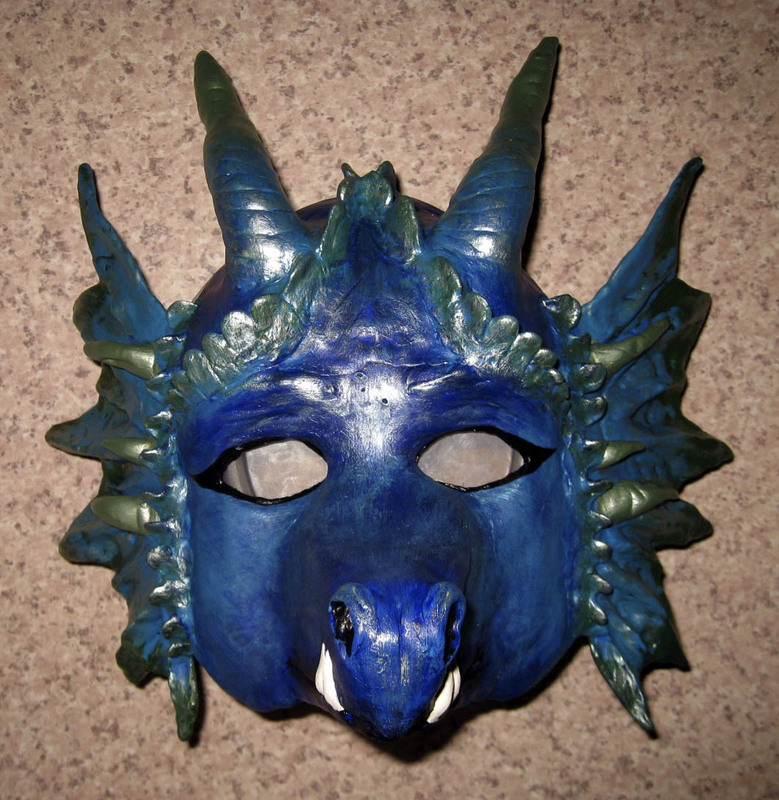 I also really like the fire-dragon mask.